Among all heart defects, the defect of the interstitial septum is most often determined. Such anomaly is often combined with damage to the interventricular septum. Up to 80% of this defect in the first years of life of a child grows, therefore, the frequency of distribution to the air force is the leading place precisely DMCP. Defect of the peritoneal septum (DMSP) is a violation of the structure of the wall between the two upper chambers of the heart (atrium), represented most often in the form of a hole.The condition is often found at birth, so this anomaly is considered congenital.May be manifested both in childhood (in newborns) and in an adult.In each individual case, the most appropriate treatment tactic or observation of the patient's condition is considered. The disease may not require surgical treatment, but surgical intervention is often recommended, as otherwise the risk of complications with fatal outcome increases . Before surgery, patients must undergo a comprehensive examination. Among the congenital heart defects, the most common type is the defect of the interstitial septum.Close attention was paid to the disease since 1900, when Bedford had a detailed description of the disease.Supplements were made by Papp and Parkinson in 1941, and then by physical, electrocardiographic, radiological diagnostics. DMPS is often associated with other congenital lesions - open arterial duct, anesthesia of the interventricular septum, stenosis of the pulmonary valve, transposition of the arteries of the large arteries.It is often combined with defects in the ventricular septum, arterial duct, and rare venous anomalies when emptying the pulmonary veins.Thus, the defect of the interstitial septum can accompany almost any inborn defeat, but with a tooth often appears in an isolated form. 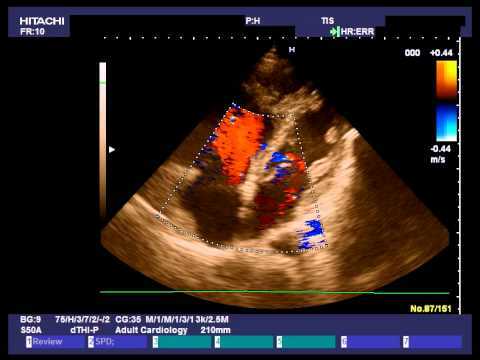 The interventricular septum is completely absent in 3% of cases. 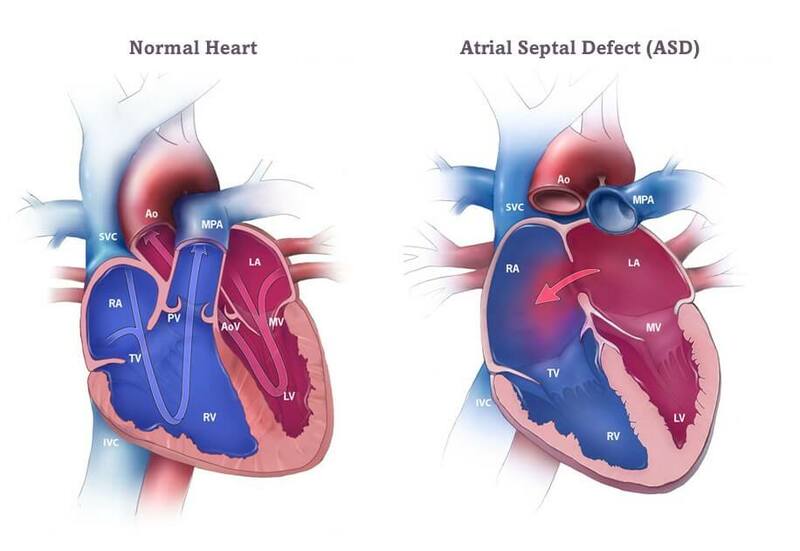 The defect in the type of ostium secundum is the most common type of DMAP and accounts for 75% of all cases of pathology, which is about 7% of all congenital heart defects and 30-40% of similar anomalies in patients over 40 years of age. Defect in the type of ostium primum: the second most common type of baldness is 15-20% of all cases. Defect in the type of sinus venosus: the least common of the three variants of DMPS and is observed in 5-10% of all anomalies of development. The proportion of DMMP occurring between women and men is approximately 2: 1. 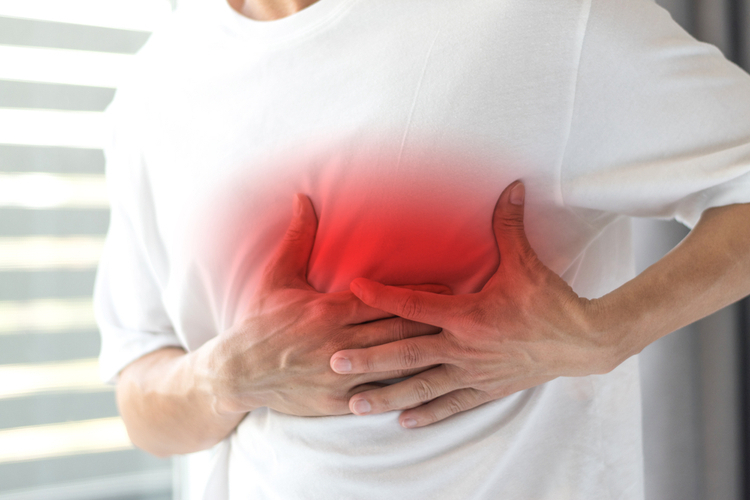 By the age of 40, 90% of non-treated patients have symptoms of shortness of breath, fatigue, palpitations, prolonged arrhythmias, or even signs of heart failure. In normal condition, the heart is divided into four hollow chambers: two to the right and two to the left.To pump blood throughout the body, the heart uses the left and right sides to perform various tasks.The right half moves the blood to the lungs through the pulmonary artery.In the alveoli, oxygen saturation occurs, after which it returns to the left half of the heart through the pulmonary veins.The left atrium and the ventricle pour blood through the aorta, directing it to the rest of the organ and tissues. In the presence of a defect in the interstitial septum, oxygen saturated blood flows from the left upper chamber of the heart (left atrium) into the right upper heart chamber (right atrium).There she mixes with oxygen-free blood and is again pumped into the lungs, although before that she was already saturated with oxygen. With a large defect in the interstitial septum, this additional volume of blood may overflow the lungs and overload the right heart departments.Therefore, in the absence of the disease, the right side of the heart eventually becomes hypertrophied and weakened.If this process continues, arterial pressure in the lungs is noticeably increased, which immediately leads to pulmonary hypertension. Basically, all the risk factors and causes of DMARD are associated with intrauterine development of the fetus.Under certain circumstances, a child with congenital heart disease is particularly likely to be born. Rubella (infectious disease) .Infection with rubella during the first few months of pregnancy can increase the risk of developing fetal heart defects, including DMAP. Drug addiction, tobacco smoking or alcoholism, as well as exposure to certain substances.The use of certain drugs, tobacco, alcohol or drugs such as cocaine during pregnancy can harm the developing fetus. strong. Diabetes mellitus or systemic lupus erythematosus.If t here are such diseases (especially in pregnant women), then the chances of a child with a heart defect increase. ObesityOverweight in the type of obesity can play a role in increasing the risk of having a child with a defect in the interstitial septum. Phenylketonuria (PKU).If a woman is ill with this disease, she may be more likely to have a child with a serious defect. Many children born with defects in the peritoneal septum, are not characterized by characteristic signs.In adults, symptoms can occur about the age of 30 years and older. This is most often indicated by the presence of heart failure or other complications arising from congenital heart disease. A minor defect in the peritoneal septum is not likely to lead to serious hemodynamic disorders.Small DMSP is mostly self-closing even in infancy. Pulmonary hypertension. In the absence of treatment of a large defect of the interstitial septum, increased blood flow to the lungs increases arterial pressure in the pulmonary arteries, resulting in a complication of a type of pulmonary hypertension. Eisenmenger syndrome. Long-running, pulmonary hypertension can cause permanent damage to the lungs. This complication usually develops over many years and occurs in people with large anomalies of the interstitial septum. Timely treatment can prevent or help cope with many of these complications. Most women with a defect in the peritoneal septum can tolerate pregnancy without any problems.But in the presence of a large defect or concomitant diseases such as heart failure, arrhythmias or pulmonary hypertension, the risk of complications during pregnancy increases significantly. Doctors strongly advise women with Eisenmenger's syndrome not to start a baby, because it can put lives both at risk. The risk of congenital heart disease is higher in children whose parents have congenital heart defects, whether they are the father or the mother. Anyone with a congenital heart defect, whether restored or not, who is considering the possibility of creating a family, must carefully discuss this with a doctor in advance. Some medications may be excluded from the appointment list or adjusted before pregnancy occurs, as there may be serious problems with the developing fetus. If a large DMEM is used, the doctor can hear pathological heart noise during auscultation of the patient's heart. With slight defects it may be slightly heard. Since many people with uncorrected DMPS have no pronounced symptoms, the pathology can be detected in adolescence or already in an adult. The most common diagnostic test used to confirm DMPS is echocardiography (echocardiography) or ultrasound examination of the heart. If a small DMSP is determined, closure is usually not recommended. However, when a patient has symptoms such as fatigue, difficulty in breathing, pre-dilation, atrial fibrillation, or if the right ventricle increases in size, then the possibility of restorative plastic is considered. If a patient is diagnosed with severe pulmonary hypertension, developed due to Eisenmenger's syndrome, plastic reconstruction of the defect is not recommended. In 1953, Dr. John H. Gibbon successfully closed the defect of MSP using an open heart surgery and a cardiopulmonary regulation device. Since then, DMEMs have been restored using various materials and surgical techniques. Until the beginning of the 1990s, all DMAPs were closed by conducting an open heart surgery. Today, the method of choice is closure of the opening through the catheterization of the heart. If the size of the defect is too high or the patient is diagnosed with other types of congenital malformations, an open surgical operation is recommended. In the early diagnosis and recovery of DMSP, the result is usually excellent. 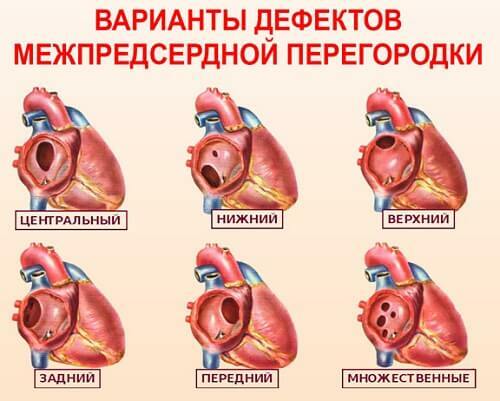 In such cases, a good long-term outcome is assumed, especially if the defect has been early diagnosed and closed in adulthood or the patient has normal pressure in the pulmonary arteries. However, there is often a risk of developing atrial arrhythmias due to scars in the closure area. In a small number of cases, a repeated operation may be required. 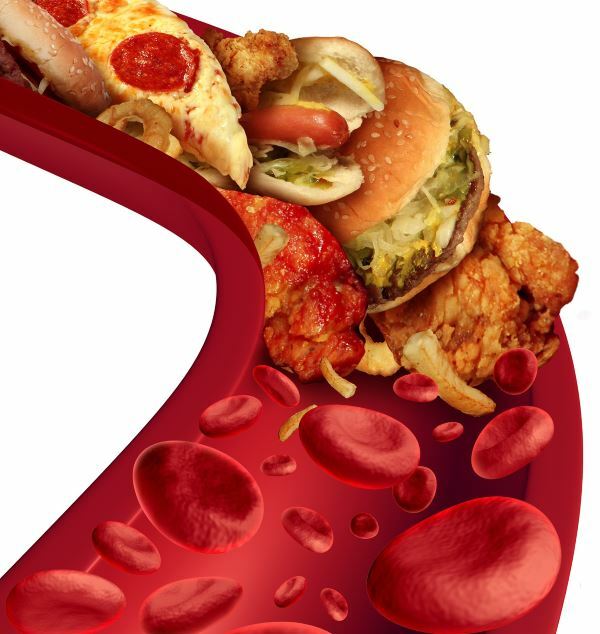 Other risks that may occur later include the likelihood of developing heart failure or arterial hypertension. All adults who have unrecovered DMSP should be monitored regularly throughout the life of a specialist in congenital heart disease. Patients who have a defect in a child or adulthood need periodic heart tests; which should be held at least once a year in a profiled medical center. This is necessary to properly diagnose and evaluate the effectiveness of previously treated treatments. A further need for follow-up is determined by the attending cardiologist specializing in congenital heart disease. Adults with small DMEMs that do not affect the function of the heart usually do not require treatment. In such cases, it's still important to see the doctor at least once a year to make sure nothing has changed. On the other hand, if the hole is too large and the blood flows from the left side of the heart to the right side, then the forecast worsens. This is due to the fact that excess blood enters the lungs, forcing the heart and lungs to work harder and less efficiently. 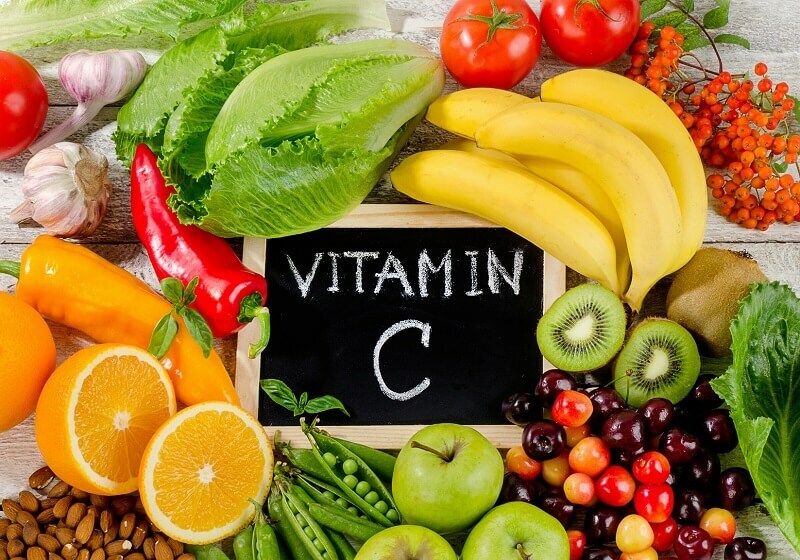 When this happens, there is a great risk of developing other diseases of the heart, the lungs and the circulatory system. Survey on the presence of immunity to rubella. 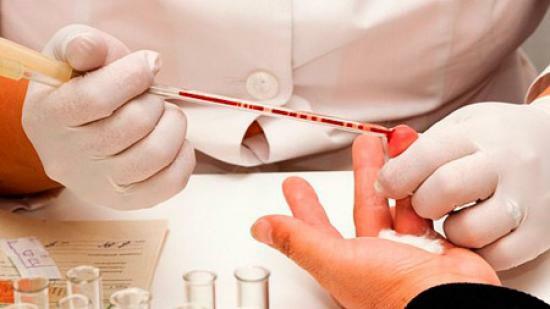 If susceptibility to the virus is determined then vaccination is carried out. Analysis of general health and the definition of drugs. If necessary, you will need to carefully monitor certain health problems during pregnancy. The doctor may also recommend adjusting the dose or eliminating certain medications that may damage the pregnancy. Heredity analysis. If the family history is burdened with heart defects or other genetic disorders, one should think about consulting a geneticist, which will determine the risks of future pregnancy.